Wholesale Custom vinyl banners. 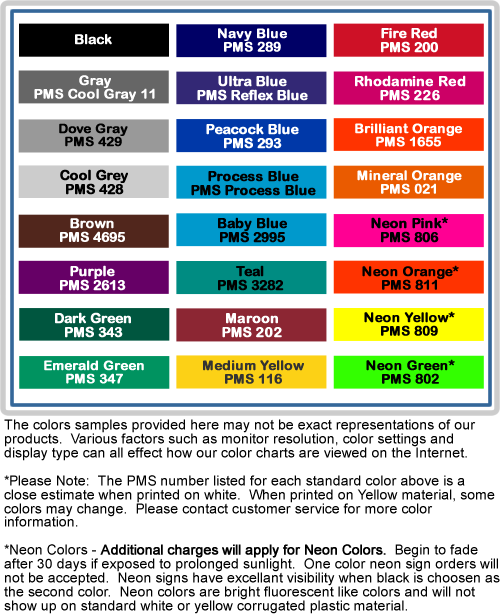 Reasonable prices from 1 color to full color. Have MySignPrinter.com be your custom banner printer. Full color sign banners direct from the factory. Order premium sign banners online. Promote your business with a custom banner - Think of the possibilities! Premium 13 oz. custom vinyl banner complete with vinyl lettering. Durable, multi-purpose product, for outdoor or indoor use. Grommets included every 2 - 3 feet.